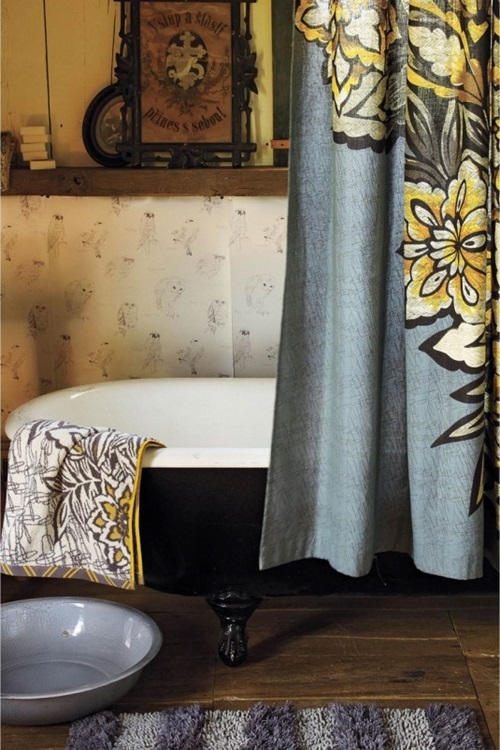 The elegance and simplicity of the cottage style curtain will let you seriously consider incorporating such a curtain to your home decor even if you haven’t cottage styled home decor. 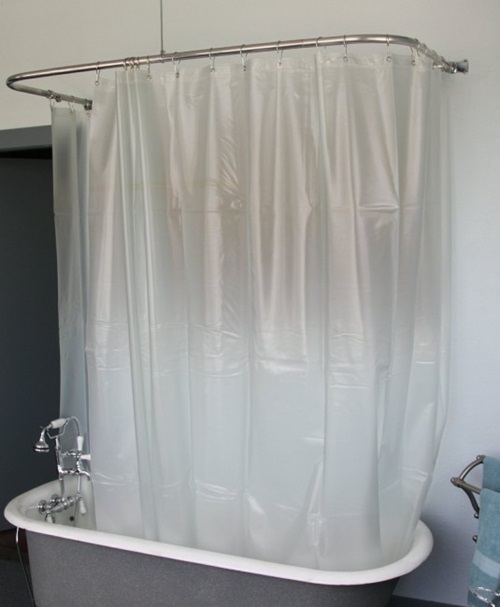 You will need first to try this curtain in your bathroom, and when you like the idea; you will incorporate the curtain to every room in your home. 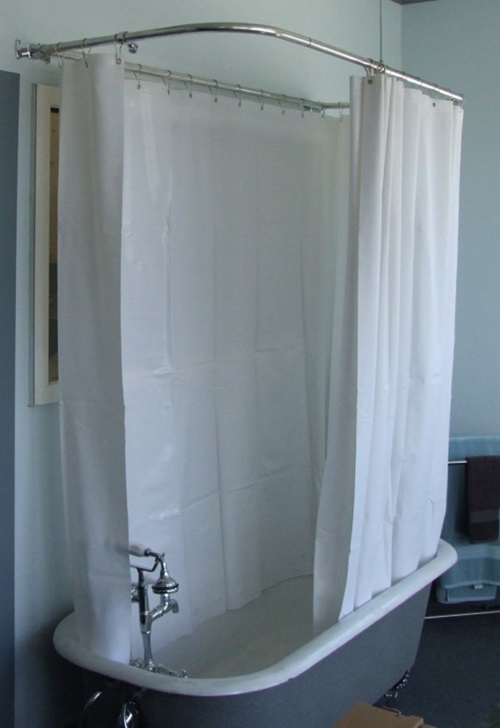 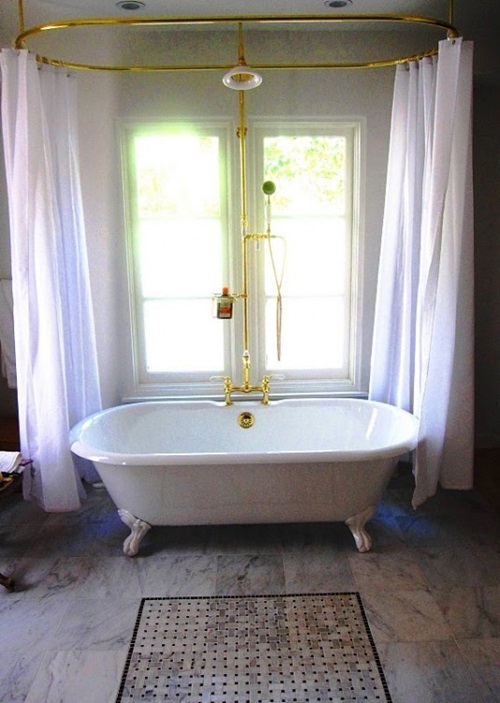 Here are some ideas about the types of your cottage bathroom curtain to find the suitable one for your home and budget. 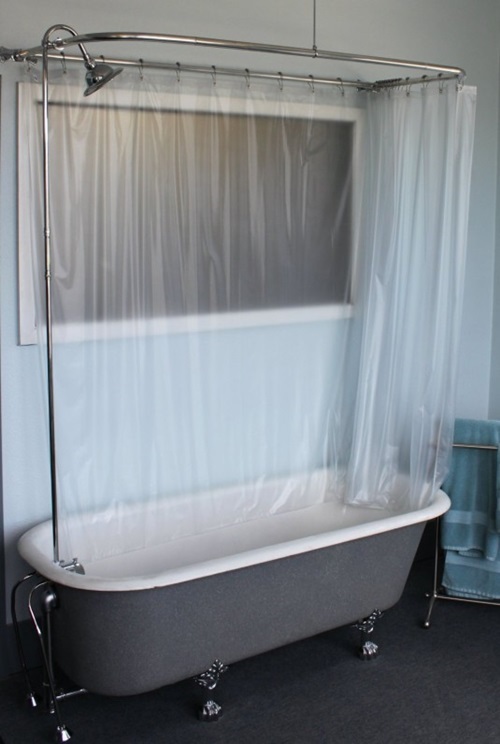 There are several designs for your cottage bathroom window and shower curtains that will satisfy your personal aspirations.Any lightweight fabric curtain, with clip style rings, that will ensure an ample light enter the place will perfectly match your cottage bathroom. 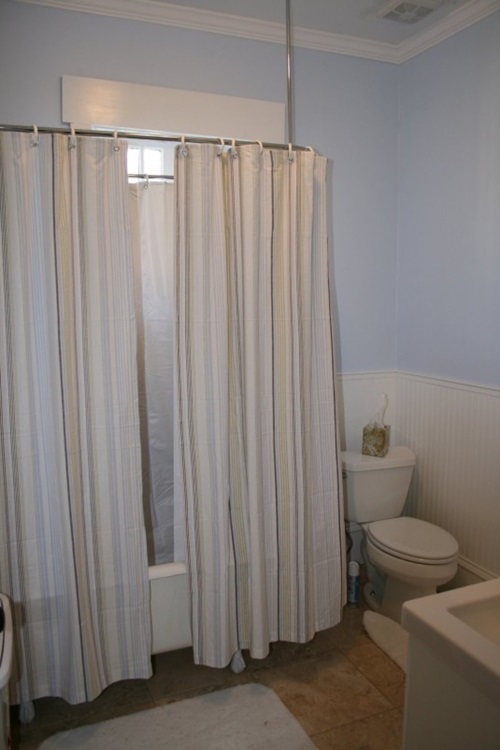 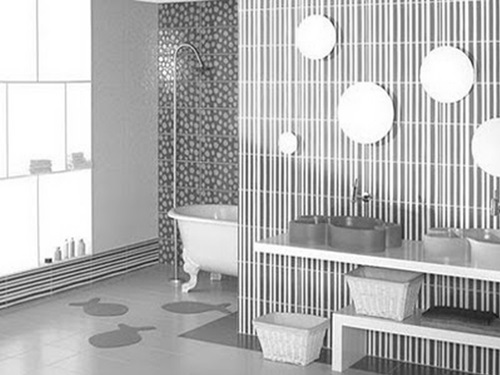 If you wish, you can get a floral or gingham printed curtain with soft colors and attach a cottage shower curtain using iron poles with rectangular shower rails on every side of your shower head and bathtub. 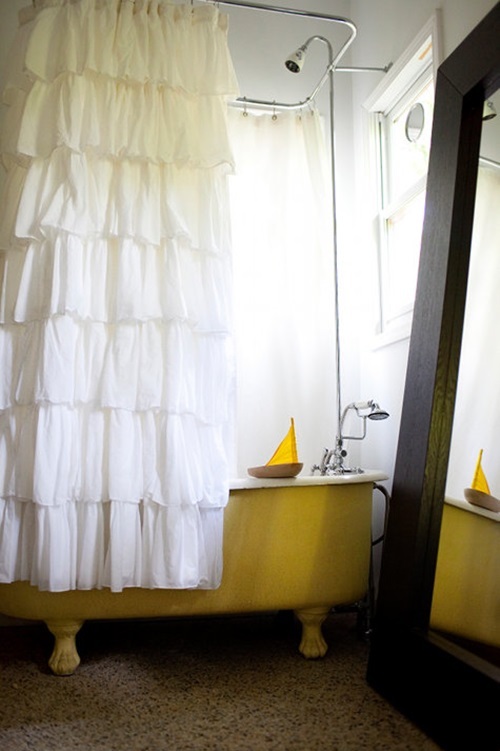 This curtain can be made of waterproofed linen tweet or cotton to create a cozy feeling. 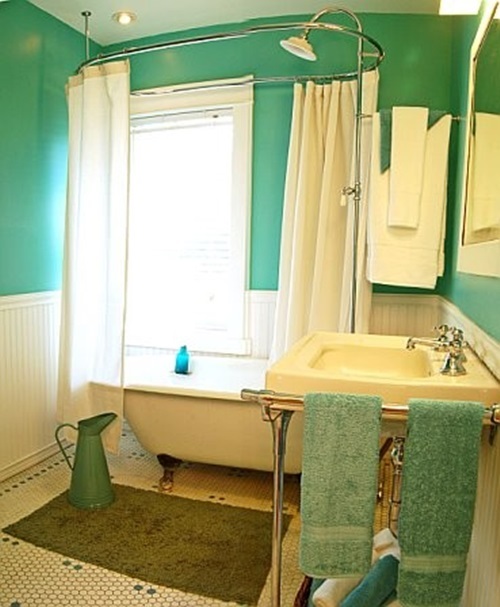 Your white bathroom with green or pink accessories will be great with a white cottage curtain with matching colored prints that will enhance the theme. 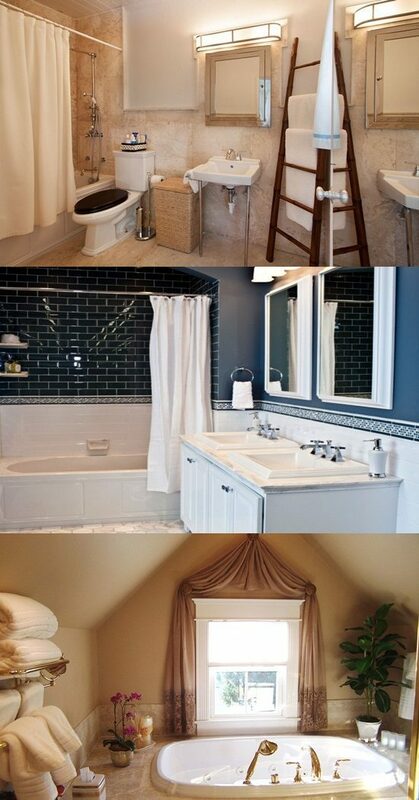 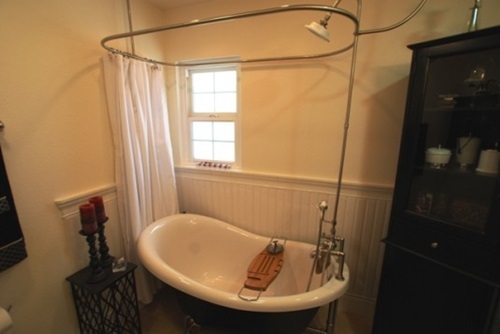 The tie backs with matching colors will enhance the theme and let more light refresh your bathroom. 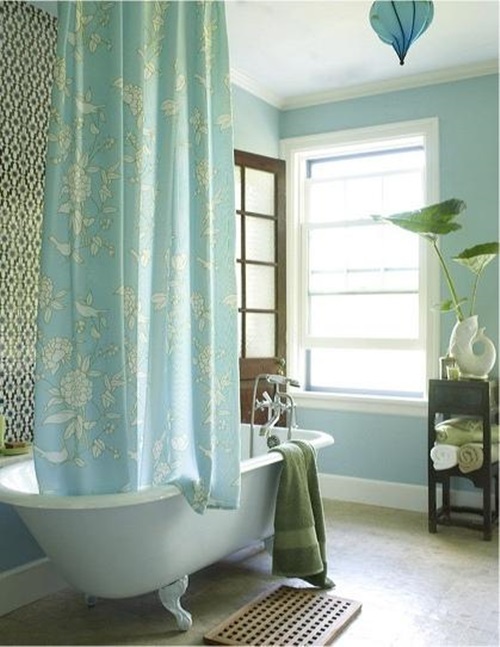 The sea-green transparent sheer curtain will allow the natural light and air enters your bright colored bathroom attic. 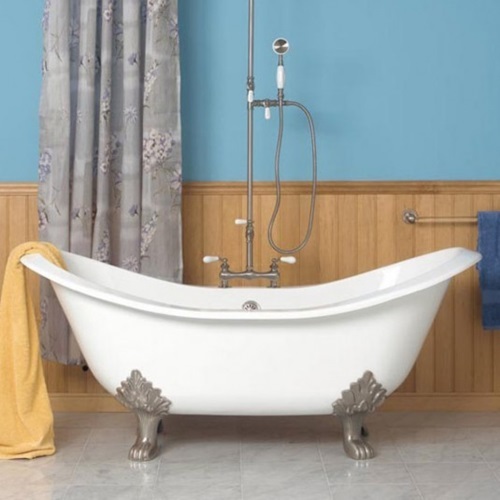 A soft white curtain hanged by oval shaped cast iron rods will be perfect as a shower curtain around your bathtub finished with wood. 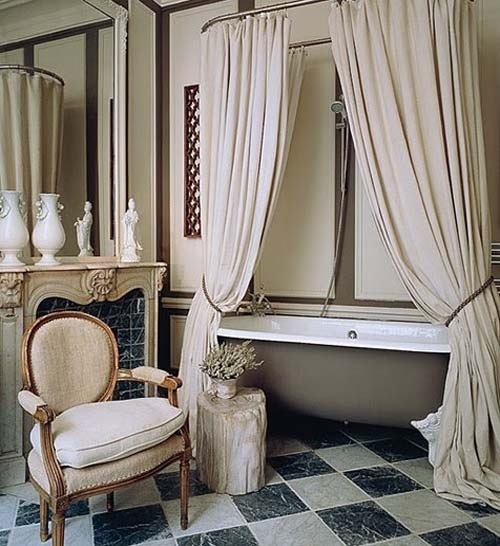 If you need a high degree of privacy into your bathroom, try to install a wooden blind or plantation shutters.Another interesting option is to install a pair of natural colored roman shades in your bathroom to give you the needed privacy and block more light and the harmful sunrays.